Setting up block scheduling in athenahealth is simple, and can be done with the steps below! Click the “cog” wheel from the menu bar at the top of the page and click “Schedule”. Tip: If you don’t have the “Schedule” button, it’s most likely a permissions issue. Contact your practice administrator for more assistance. From the left-hand side, click “Build and Apply Templates”. 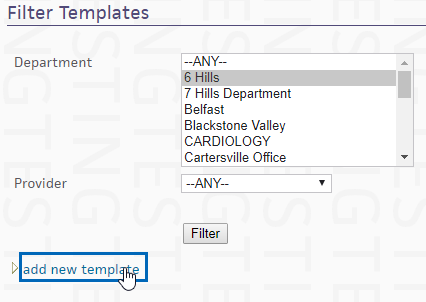 Under the "Filter Templates" section, click "add new template". Select the Provider Group, Provider, and Department (optional). Then, give this template a name. If needed, verify the start and end time for the providers' schedule. 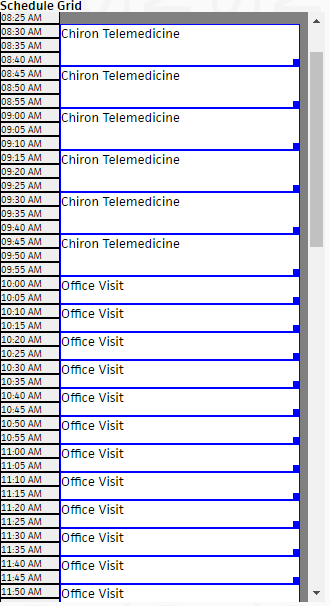 Select your telemedicine appointment type from the dropdown. 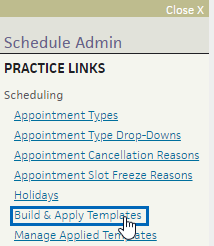 Click and drag the appointment type to the timeslots you wish to fill. 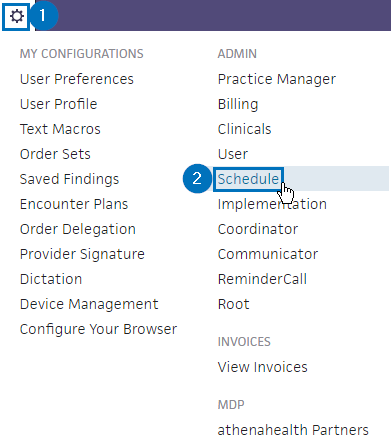 Tip: You can add multiple appointment types to a single timeslot! Once you're finished with the appointment type, select a new one and repeat this process. Don't forget to mix in your in-office appointment type(s) as well, so that you can still schedule patients for that time. Select "Save" to save the template. Additionally, you can select "Save & Apply" to immediately save the template and apply it to the resources you've selected in step 4. CAUTION: Selecting "Save and Apply" will overwrite any currently applied template for the resource.